Dutch is the official language of Suriname. 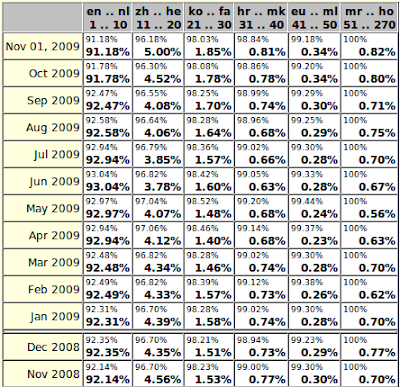 Dutch is the tenth Wikipedia in size in terms of traffic. You would assume that the subject of Suriname is of a high standard. Sadly, this is not really the case. 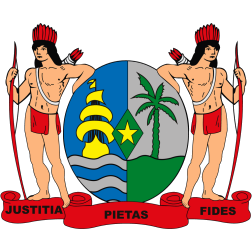 Given that Suriname is a former colony of the Netherlands, and that many people who came from Suriname live there, there is an additional reason why it is reasonable to expect quality. The Dutch Wikipedia is a white men's game.. It would be good when the composition of its community was a reflection of the people that live in the Netherlands. When the Surinamese, the Turks, the Moroccans write the encyclopaedic articles that are important to them, Wikipedia as a resource will better reflect its aim; "freely share the sum of ALL knowledge". In the Strategy wiki, the question is raised: "What ratio of contributors to readers should Wikimedia aim for?". I argued that this ratio is not really meaningful to me. After more considerations, I come to the conclusion that it is more important to have a community of editors that reflects the composition of its readers, the population they come from. I wonder if the lack of coverage of subjects about Suriname, Turkey, Morocco explains this discrepancy. I wonder if people are looking for articles on these subjects. I identified the #tropenmuseum picture I blogged about on Commons. For this picture there is already a translation on Commons in Indonesion... When a fellow Wikimedian does this for us on Eid al-Adha, I am truly amazed, happy and grateful. 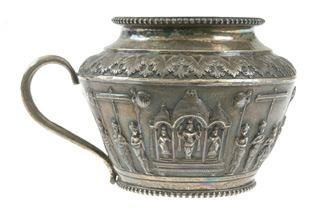 What can you tell us about this object ? Today we had a meeting at the Tropenmuseum where Multichil and me were given some 35,000 images to be uploaded to Commons. These images are from Indonesia and, there are more images to come. Richard, has been really busy cleaning up this collection in order to make sure that these images conform to the high standards of the Tropenmuseum. This collection comes with annotations in Dutch and I am really happy that the Indonesian chapter is willing to organise translation into Indonesian. In this way this part of the Indonesian cultural heritage becomes truly available to the Indonesian people. It would be good if we are able to find people willing to translate all this in English as well; this makes it truly opens up as part of our global cultural heritage. A good example is this picture of people from the village of Bawemataloeo on the island of Nias. While it is a great picture, it can only be understood with its annotations. Het verslepen van de steen 'Darodaro' voor de gestorven Saoenigeho van Bawamataloea, Nias. De steen wordt uit de rivierbedding gehaald en over een afstand van ca. 3 km versleept waarvoor een speciale sleepconstructie wordt gemaakt. 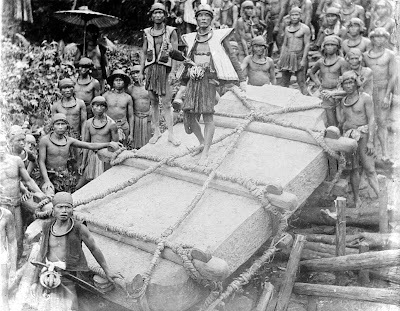 The dragging of the stone “Darodaro” for the deceased Saoenigeho of Bawamataloea, Nias. The stone came out of the river bed and was dragged over a distance of 3 km made possible by a special dragging construction. I am back at home ... I have been to a concert of the choir my sister sings in. One of the songs was a wonderful song by Krezip, "sweet goodbyes". There is an official clip, I asked a friend in the USA to listen to it. She was not allowed to.. "… not available in my country..." was the reply I got.. Another clip just had the music, another had the lyrics. The music got me a "sounds pretty"..
Music is a social thing, when I am not allowed to share the music I appreciate, it angers me, it makes me sad. It makes me resent a stupid, stupid industry that prevents me from sharing great music with my friends. Every now and again we have at translatewiki.net a request that is a bit out of the ordinary. The request that OsamaK made today is one such; he asked for the support of gender to be enabled for the Arabic language. Gender support was originally implemented for the Slavic languages and now this mechanism is requested for Arabic as well. MediaWiki is almost fully localised for the Arabic language and, I imagine that it will be a lot of work to implement gender fully. Making sure that our community knows that we truly value their work is a core value at translatewiki.net. This means that localisations have to feed back to the respective applications. When this is no longer possible, we prefer to stop the localisation effort for an application and not run the risk that localisation work is lost. Today Siebrand had to decide to stop the localisation support for StatusNet. There are three show stoppers that prevent the feed back of our localisations.. Brion was informed about this situation and about our lack of developer capacity. [21:33] brion: it may take months. No developers at the moment. What Brion will be looking at is how to provide plural support in Gettext. The good news is that once this issue is dealt with conclusively, any and all gettext application can be supported in a proper way. When you are involved in language support, when you are interested in working on the cutting edge of internationalisation and localisation in an open source environment, you will find our environment really interesting. We support a bewildering array of languages and orthographies. We need you to improve our environment and our support for a growing number of applications. At translatewiki.net we support many languages and many applications. As a consequence, it is important that the rules that apply for a language are consistent and correct. It is not just MediaWiki any more that is affected, it is also StatusNet or OpenStreetMap to name just two. The people administering translatewiki.net do not know what linguistic rules for a language are correct. It is equally plain that it is impossible to learn about and judge all the possible issues. It is quite fortunate that Unicode in its Common Locale Data Repository (CLDR) provides a framework where the linguistic building blocks necessary to support a language are provided. That is, for as long as the information is correct and, for as long as people took the trouble to provide the information for their language. The benefits of insisting on good information from the CLDR are huge; the CLDR provides the essential data for many other applications for instance, once this data is complete, a language can be supported in Open Office. Unicode provides translatewiki.net with the surety and stability it needs. Many museums have magnificent works that are not on display. Some of them are not on display because of logistical reasons. The Tropenmuseum for instance has a story cloth that is at 15 meters just too long to be on permanent display... An additional reason may be that by preserving it in the dark, the colours do not fade. The picture gives an indication what this story looks like, but too really appreciate it, you want to see the full picture. This is a bit of a problem. The total amount of data is over a gigabyte and, it was photographed in many parts. These parts are now being stitched together by Durova. This is a massive job. The first part is to get the parts lined up properly and, to ensure consistency between all the different parts. This is an experiment, for both the Tropenmuseum and Durova; when the work is done the unrestored but stitched together file will be too big for Commons. When it is available to the Tropenmuseum, what digital manipulations make sense.. for instance the images at the very left have faded a lot. Every day, my agregator shows me the Commons, the German and the English Wikipedia featured picture of the day.. For the last few days it showed me the restoration of a beautiful Japanese print. Something was wrong..
Hopefully things will be ok by tomorrow. Every year, SIL the registrar for the ISO-639-3, publishes its list of the changes requested for this standard. There is time until December 15 for changes to be considered this year. So far there are some 143 changes and, people can comment on the changes. This is the first time that the changes will directly affect the IANA Language Subtag Registry and consequently there is more interest for what the changes will bring. Wikiportret.nl is a website where people who do not have a picture on their Wikipedia article find an easy way of getting their portrait uploaded to Commons. Husky developed it for the Dutch chapter and, he entered the code to SVN at the Paris meeting. Today Siebrand had a stab at it. In his tweet, he indicated that he is trying to understand the code and, standardise it. While a first effort at Internationalisation has been done by Husky, more work will be needed in order to get the software ready for localisation. The aim is to have quality portraits of the people who have their Wikipedia article. Achieving this will make our articles more attractive. In the top 20 of biggest Wikipedias ordered by traffic we find four languages that I find of interest: Russian, Chinese, Arabic and Indonesian. They are ordered as the number 6, 11, 16 and 17 in this list. All four represent large populations and consequently they all will go up in the rankings because all four are lively projects. There is a relation between the number of articles and traffic. At the end of September, they had respectively 442 k (+2%), 266 k (+1%), 104 k (+3%) and 113k (+3%) in articles. Russia and Indonesia have their chapters. Arabic is not local to one country and there is only a chapter in Egypt. Chinese is also spoken in multiple countries and it does not have a chapter in the People's republic but has one in Hong Kong and Taiwan. When you consider that the annual growth in traffic is respectively 87%, 20%, 27% and 52%, you will recognise that they still growing. Compare them to the English Wikipedia its growth in absolute numbers is huge but expressed as a percentage it is not. I expect that these projects will benefit most from any measures that will make Wikipedia a friendly place. They need to grow to realise their potential and a healthy community is part of that. Wikia has experience with several social extensions to MediaWiki. Does what they learned apply to our projects? Does it help in turning around communities that have gone sour? How do you introduce social functionality in our big projects ? I expect all these four languages among the top ten Wikipedias in five years time. At the same time I expect the Wikipedias that currently make up the top 10 to continue their evolution and grow. Banking is not the same in every country. The cost of banking in some countries is absurdly expensive. Credit cards are a necessity and to top it off, it is not always secure. In the Netherlands we are spoiled; it is cheap, safe and ubiquitous. Most people use their credit card only when they go abroad and some use it for ordering from the Internet as well. Sometimes, because we can pay directly from our account as well using ¨Ideal". Ideal is convenient, is uses the same security mechanism used for our Internet banking and, it is vastly more secure then a credit card. This year we can sponsor the Wikimedia Foundation and pay with Ideal, it is a big improvement and it is likely to stimulate a lot of my compatriots to make a donation. At translatewiki.net, we welcomed User:చక్రవర్తి. With a user page that is probably in the Telugu language, we do not know if this new person knows sufficient English to localise from English into his language..
We have a protocol for accepting new people, we welcome people and, we provide them with instructions. When these instructions are followed, we give our new localiser "translator" rights because we assume sufficient proficiency in English. The problem with Internet Explorer is that it does not comply with standards. This problem is compounded by the fact that a significant group of people use it. The excuse that Microsoft used was that Windows and consequently Internet Explorer was used by everybody anyway. The problem is that this is no longer the case. With the advent of browsers like Firefox, Chrome and Opera there are superior product available that do support the open standards that make for an Internet that is no longer dominated by cripple ware. The fundraiser of the Wikimedia Foundation, the development of LiquidThreads, all have to deal with the vagaries of the different incarnations of Internet Explorer. It is problematic when you read that developers are looking for a license. The biggest problem is for Microsoft; as developers do not have their Internet Explorer anymore they expose the myth that IE will continue to be able to get away with broken implementations of standards. Pascagoula, Mississippi is an article on the Swahili Wikipedia. It is bot generated by someone who does not speak any Swahili. The article is there with many other articles that are imho hardly usefull, I would even call it spamming. Pascagoula has some 23.500 inhabitants and, I selected it as a random example of a brain dead experiment. When people truly want to improve the Swahili Wikipedia, they would add similar places from Tanzania and Kenya. They would add these places to the English language Wikipedia as well. We need good relevant content in all languages, it makes some sense to create stubs for all the chemical elements, the presidents, popes, kings and emperors. Pascagoula Missisipi... what are they thinking ?? Today the Russian Wikiversity was created. It is good news and it is now for the people at Wikiversity to create their new resource. I usually announce this to the foundation-l mailing list. This is not possible at the moment because the list became moderated because of its atrocious signal to noise ratio. Consequently it will be interesting to learn how this message will get out; I have updated the status for the request on Meta, I tweeted and now I blog about it. There are many Wikipedias, and one of the questions that has been asked often is, what is the relevance of the smaller Wikipedias. The Bangla Wikipedia for instance is the biggest resource of that language on the Internet. As this is one of the biggest 50 languages this is quite special. When there is significant content on the Internet, when search engines support the language, when there are adverts in that language I believe that there is no doubt about the future of a language. Google came to people in the Wikimedia community and asked what it could do to grow our content in the Swahili Wikipedia. Google wants to grow its business in Africa and relevant content in the Swahili language is seen as an important stimulus for the traffic in Tanzania and Kenya. They organise a challenge to university students and people interested in joining the challenge to write quality articles and, there are prizes to be won and training to be had. I am really happy with Google's approach, it has Wikipedians involved. The Swahili Wikipedia shows a nice autonomous growth anyway and it is left to the contestants to decide what they are going to do to win a prize. At that I would have liked it when Google had given emphasis on what people want to read.. They do know what people in Tanzania and Kenya are interested in. When we learn from Google what the top subjects are that we do not have an article for, we will know what is likely to grow our traffic for this Wikipedia most. In this way we achive not only quality articles, but also quality articles that people want to read. Articles that people want to read benefits both the Wikimedia Foundation and Google as they both want to grow our traffic. 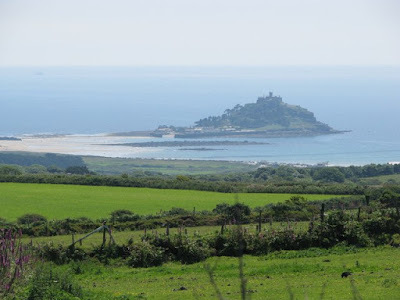 Geograph.org.uk has a cool million images about the British countryside. Some of them are dull, some of them are not so dull but what do you expect the panorama is not everywhere like this..
All these images are available under a free license and it makes sense for us to have them. These pictures have added value because all of them come with geo tagging. With the integration of the maps of OpenStreetMap, it will be great to integrate our services in there as well and show the beauty of Britain. We can and we may take all these pictures. The reasons in favour to take them all are really strong; we do not want to make a selection..But even when we can and may take those pictures, it makes sense to reach out to the people at Geograph because together we are likely to do an even greater job. Every year, people are reminded that the Wikimedia Foundation is a charity. We need the gifts of our public to ensure the continued existence of the organisation that pays for the many Wiki communities that bring you Wikipedia, Wiktionary, Wikiversity in many languages. The Foundation pays for the servers, the bandwidth the software development and the outreach that make it the centre of the Wiki movement. When you consider why you should contribute to the Wikimedia Foundation, it is always good to look at what it did for us last year. There is more, but this is how I argue the case for you to contribute. Obviously we need your money and we also need you as a friendly contributor writing articles on all kinds of everything. 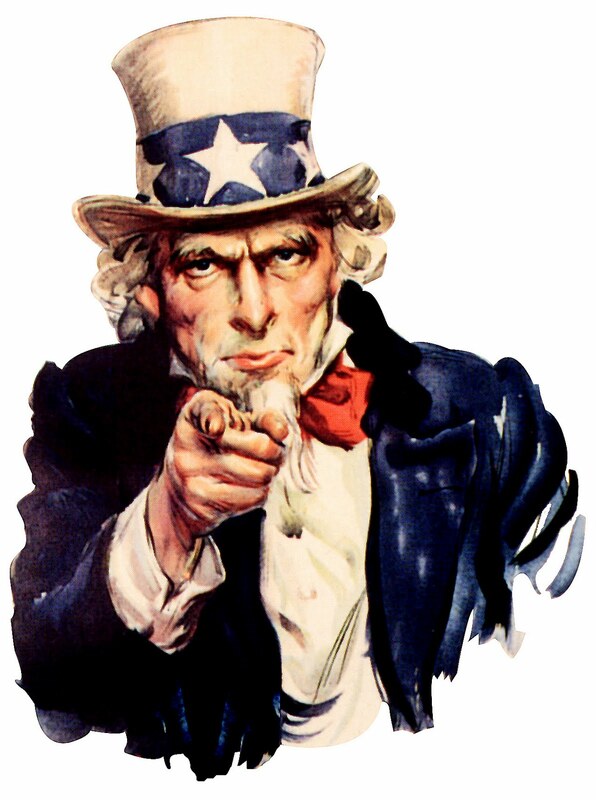 We need you as a friendly administrator helping people get their bearings on your project and become involved. The Wikimedia Foundation enables its projects to do good and, it needs your appreciation to ensure that we continue to do good in 2010. The kwi kwi is an armoured catfish found in Suriname. The fish is eaten and like a chicken on the bone, it is to be eaten with all the senses. I wanted to write some content about one of the rivers of Suriname because we want to make sure that one of the restorations we work on will come with quite a bit of information. Except that the picture I cropped from was part of the Category:Francis de Castelnau's expedition a French Wikipedian had uploaded loads of images. He did make it easy on himself and claimed copyright and put it in the public domain. At least I think that this is what he did. What he did was build a collection that could have been part of a GLAM project. I do think that when we have the improved functionality we talked in Paris about, it should become available to our users for projects like this as well. At the Commons meeting in Paris, we considered the growth of Commons. This was in terms of "we will get video", "our GLAM contributions are in the 100.000 images at a time" and "we need to improve our storage capacity planning". What we did not consider is how much it actually grows. The statistics by Erik Zachte give perspective; with 268 M its traffic is in between the number nine and number ten Wikipedia. Unlike most biggest Wikipedias, it grew last month by 35%. The consequence is that when we aim to have the number five reach in every country, we should concentrate on our multimedia as well. This is apparantly where we grow rapidly. We discussed growing the use of Commons in Paris. Chad has been working on improving an API called "InstantCommons" that allows other MediaWiki installations to use the Commons media. This API can also be made available to other applications like Drupal, Sakai, Wordpress, Wave... It was indicated that this would be on average a weeks work for a new platform. I have doubts, I wonder if this growth is an anomaly, there is no indication what the autonomous growth will be. There is no indication how video will change things.. I wonder why we did not discuss this in Paris, are we only watching Wikipedia?? At translatewiki.net, we adopted LiquidThreads. This is an extension that brings structure to the conversations that happen on talk pages. When Siebrand moved over, he did that for everything, for all types of talk pages. Our community is faced with new functionality that is there for us to use. Typically the language we localise is the default language in the preferences. LiquidThreads is difficult enough to understand when the software is localised, when it is not, it is hard. The solution for us is obvious. The solution can be found in what translatewiki.net is there for; you localise the software and it becomes more obvious what is expected; we eat your own dog food. A video would help for the community we localise for. Last Wednesday, the exhibition "Art of Survival" opened at the Tropenmuseum. It was a magnificent opening of an magnificent and important exhibition. When two ministers of two countries, when a gaanman representing all the Suriname gaanmans is there for the occasion, there is more happening then just an exhibition. It turns out that this is the first big exhibition on the subject of marronage and, that the Royal Tropics Institute is involved in setting up centres in Suriname where much of the history of the Maroon and Suriname will be presented. 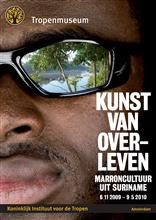 The first copy of a book with the same title was presented to the ministers of Suriname and the Netherlands at the opening and, it is a collection of articles that explain about the many aspects of the evolution of the culture of the Maroon. With separate articles on traditional religion and Christian religion, articles about music, education and city life it becomes clear that the Maroon cultures have been ever evolving like any other. The challenge is how will the Maroon people retain their identity in a globalising world. Mr Aboikoni, the gaanman of the Saramanka said it quite eloquently; we need to record who we are and what we are. We do it for ourselves but mostly we do it for our children. The growth of the Sakha Wikipedia is astounding. They are growing at an annual rate of 923% and grew 37% last month. This is an incredible growth and, what I would like to know is how they are doing this. What is their secret sauce. The growth of their number of articles is good, bot activity is likely at the beginning of the year (growth of 69, 47, 63% of articles) but it is currently at a healthy 4%. The localisation effort is doing great; they have localised 98,9% of the core messages and 81,46% of the Wikimedia used extension messages. When you look at the recent changes, you will find that there are a number of people who indicate that they do not speak the language but do help a hand. There is a healthy amount of writing being done but it is equally clear that there is room for growth. My questions are, is this healthy sustainable growth and if so, can this be replicated on other Wikipedias. Every month I write on all the Wikipedias about the quality of their localisation. Some languages I skip, for instance when there localisation is complete. Some languages I do not message because there has never been any localisation for that language. Kikuyi is spoken by some six million people, mostly in Africa. It will be good when this project has a community of people who are native to the language. On many of our projects we feature the best illustrations we have. Some of them are photos, some drawings, paintings, etches.. Some are created by our contributors, some are restored by our contributors and we judge them all by the same criteria. We do even when it does not make sense. 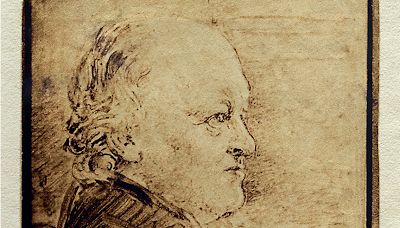 This is an enlarged copy of a portrait by William Blake. You can deduce its size because of the structure of the paper. The issues with its restoration where documented here. The original picture is according to the Library of Congress nine centimeters vertically. This is a small picture but because of the quality scan it is still 2.29 MB in size. This is according to some too small. 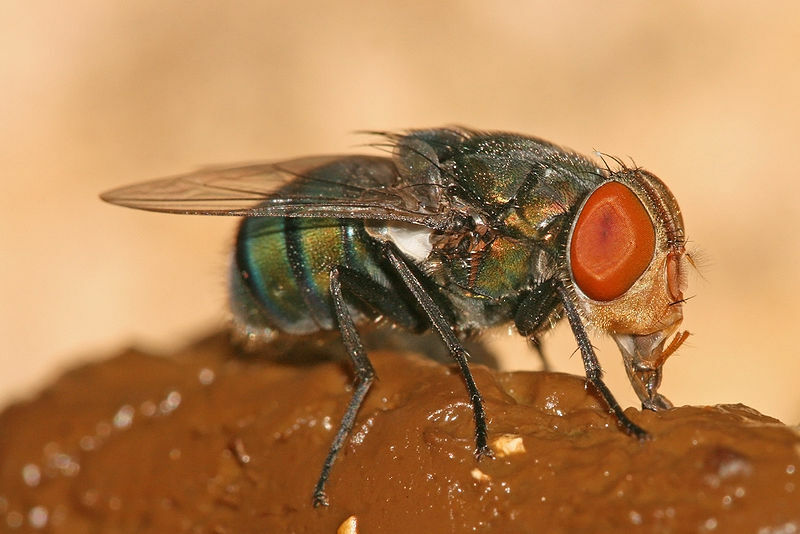 The size criteria however is reasonable when the focus is solely on digital photography. Digital photography is relatively young and for most of the historic subjects we cover we need the water colours, the pen drawings, the paintings, woodcuts and what not for illustration. Some of these illustrations are small and like this picture of William Blake, they require a lot of work to be awesome. They make a big difference to the quality of our articles, they enrich our repository of illustrative material much more then another picture of sunset, a bug, a flower or another bunny. There has to be point to our featured pictures. In my opinion it is to showcase the awesome material that we provide, high quality,freely licensed material for use by anyone who needs it. The current bias for modern digital photography makes us compete with so many other photo stock websites. A battle we lose. The restorations, the illustrations is where we are different. Together with the best modern and old photography we have in Commons a resource that excells. Now to improve the STUPID biased criteria for featured pictures !! Kibera is a slum of Nairobi. In Kibera live a million people.. It is densely populated, and there is no map; there is no map yet. As there is no map, it is hard to upgrade the conditions. How to plan without a map? 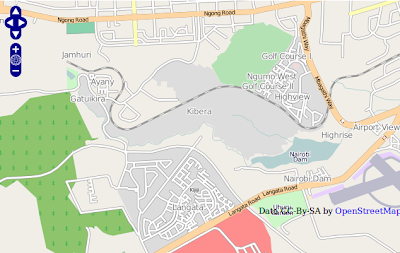 This month, there will be an OpenStreetMap project in Kibera to fix the issue. Twelve Kiberians will be trained in mapping techniques and they will collect the information for a map. A map that will become available to everyone. In Kenya people speak many languages and it is not unlikely that this map will be more relevant if it is available in for instance Swahili.. Localising OpenStreetMap completely means that 898 messages have to be localised. When Brion Vibber left the Wikimedia Foundation, he joined StatusNet and became their senior architect. Apparently he liked what we do at translatewiki.net because we can now localise the software behind their micro blogging service. It is quite awesome to have Brion back, it is great to see more relevant applications that we can localise at translatewiki.net. StatusNet makes use of the "gettext" format so we will gain more experience supporting that format. With Brion at the other end, it will take effort but it will go smoothly. 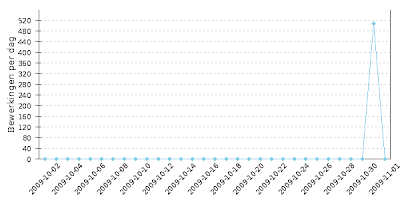 One nice detail; StatusNet supports OpenID..
A new month brings new statistics. translatewiki.net shows continued growth, the traffic for Wikipedia has grown by 9% to 11,586 M and the total number of articles grew with 2% to 14.2 M. These are numbers that show that we are doing well. The English Wikipedia grew last month by 0.1 million articles while the other Wikipedias grew by 0.2 M. Its traffic grew by 1% and the other Wikipedias grew with 2%. For me it means that the English Wikipedia is doing well. At the bottom of the "monthly page views" Wikipedias are grouped together by size. This is my favourite part of this page because of what it does not show. You expect that such a ranking is stable but when you observe it regularly, you will see how the composition of these groups change. On the Total Articles view, you will find that slowly but surely the October numbers are added as they become available. As Erik Zachte, our statistics guru, always says the number of articles are not that important and he is certainly right for our bigger projects. It is quality that makes the difference when people are to return to these projects. However for most of the smaller projects we do not have the quantity to attract our readers. When you look at the smaller projects, you will find that the traffic is erratic, the growth in articles can be big and monthly changes in traffic of up or down more then 20% seem to indicate a lack of maturity. Given that the trend is typically upwards, we are likely to make a big difference with many of our smaller wikipedias. For a few years now there is the WikiCup, a competition on the English Wikipedia aimed at creating quality content. It runs from January until the end of October and it generates a great amount of featured articles, featured pictures, did you knows, good articles ... all in all around 1.500 pieces of quality content. I am really pleased that Durova won.. It is a massive boost for the restoration movement as it demonstrates the appreciation for great quality illustrations. It is not that Durova only contributed with illustrations but it is certainly what she is known best for and what made her win. With the WikiCup 2009 secured, Durova will retire from the WikiCup, she indicated that she wants to spend more time on working on and the promotion of content collaboration with GLAM's. We would like to see more content from more museums and archives from all over the world and, in order to make this happen, digital restorations of what they have to offer makes a difference. To make the whole restoration movement scale, we need to recruit in the whole world people interested in this. It is much easier when working with Arabic museums or archives when you speak Arabic and you can translate annotations into Indonesian for material from the Tropenmuseum when you speak Indonesian. In order to make this happen we have to coach people and teach them how to do this. Congratulation to Durova, may you bewitch and beguile with your splendid work for a long time to come ! If you want to know about the state of the MediaWiki localisation, there are the group statistics. If you want to know how a particular language is doing, there are the language statistics on the Portal for a language. These are the statistics for the Indonesian language. Statistics are nice but it is too easy to get too much of them. When you are an admin of a Wikipedia, the most you want to know is how is my language doing and what does that mean for me. Yesterday a message was posted on all the Wikipedias informing how their language is doing. Many localisers went to translatewiki.net and as a consequence of the work done yesterday and today, two languages are now fully localised, for several languages all the "most used" messages have been localised and, tomorrow all these localisations will be live on all the WMF projects. Statistics help in understanding the status quo. They provide arguments about what to do next or they provide the yardstick to measure our accomplishments by. Both are important, but learning what to do enables people to make a difference. At the strategy Wiki, they asked for proposals. Many proposals were formulated and some of them are good enough to become a Featured Proposal. I just learned that the "Support OpenID" proposal is featured. That is good news because it may mean that this is considered a worthwhile and doable proposal. The key to this proposal is that the Wikimedia Foundation can be trusted to administer OpenID because it is a staunch defender of privacy. Whatever the answers, I am happy; I made this proposal and now that it is featured it is more likely to get attention. A request was made for the localisation of the Karachay-Balkar language at translatewiki.net. As this was a new language, some technical bits had to be done, and Iltever was given translator rights. In record time, within a day, all the localisation necessary for a first project were completed. Only after the localisation was the language added to the "Request for new languages" list. The request has the status of "open" because the language committee has to consider the eligibility of the request, but it is likely that this is another Wikipedia that is waiting to happen soon.